Lieutenant General Walter Natynczyk, originally uploaded by johnwmacdonald. OTTAWA, ONTARIO--(Marketwire - June 6, 2008) - The Honourable Peter Gordon MacKay, Minister of National Defence and Minister of the Atlantic Canada Opportunities Agency, welcomed the Prime Minister's announcement today appointing Lt.-Gen. Walt Natynczyk as the new Chief of the Defence Staff (CDS). The appointment will be effective following the Change of Command ceremony which will take place in the coming weeks. 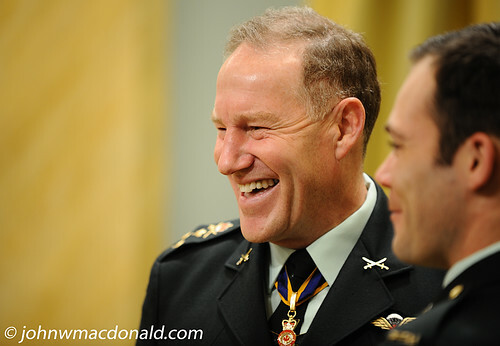 "Uncle Walt" smiles during a conversation with a fellow soldier at Rideau Hall during the unveiling of the new Victoria Cross design on 16 May 2008.